It’d be a shame if the only lasting memory of the late Kirsty MacColl were as guest vocalist on the Pogues’ Fairy Tale of New York’. There was so much more to her than that. 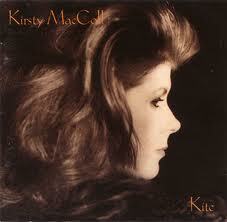 Kite (1989, Virgin records catalogue CD KM1) was the first thing by by her that I ever bought. I’d enjoyed those of her early singles which I’d heard (especially the wonderfully titled ‘There’s A Guy Works Down The Chip Shop Swears He’s Elvis’ and a great cover of Billy Bragg’s New England’). I also I knew she’d written ‘They Don’t Know’, a single which charted for comedienne/actress Tracey Ullman. I suppose the things that clinched it as a purchase though were (1) that it featured guitar and co-writing credits for Johnny Marr fairly shortly after The Smiths, (2) because it contained a cover of the Ray Davies song ‘Days’ which is so damn good it’s better than the original by The Kinks and (3) it also covered the French-language song ‘Complainte Pour Ste. Catherine’ by Anna McGarrigle – a sure sign of good taste in my book! 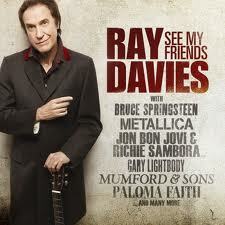 This is one classy album. Fifteen tracks, produced by then-husband Steve Lillywhite and not a turkey among them. While ‘Days’ is the outstanding track it’s a close run thing with the opener ‘Innocence’ and the poignant ‘Don’t Come The Cowboy With Me Sonny Jim’ in contention also with ‘You Just Haven’t Earned It Yet Baby'(a Morrissey/Marr cover) which, again, is as good as the original. Apparently, Ms MacColl suffered from stage fright and didn’t perform live very often – which makes me treasure even more the fact that I managed to see her play a few years later (at what was then Northampton’s Irish Centre and is now a lapdancing club) before her untimely death stopped the music.